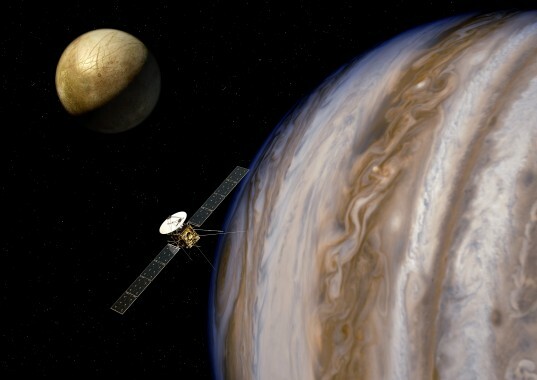 The European Space Agency (ESA) announced the list of instruments selected for its JUICE mission to explore the Jovian system for three years starting in 2030 following a 2022 launch. (NASA is a junior partner on the mission.) The JUICE spacecraft will make two close flybys of the moon Europa, several flybys of Callisto, and then will settle into orbit around Ganymede for an extended study of that moon. During the tour of Europa and Callisto, the spacecraft will observe the cloud deck of Jupiter and investigate the magnetosphere surrounding the king of planets. The JUICE mission will be a worthy successor to the Galileo mission of the 1980s and 1990s that similarly toured the Jovian system. To keep the cost of the mission around 1B Euro, the spacecraft will have only modest radiation hardening and will only briefly tiptoe into the higher radiation fields close to Jupiter. Hence, the spacecraft will make just two flybys of Europa where Galileo did a number of flybys. Unlike Galileo, the JUICE spacecraft will not come closer to Jupiter than the orbit of Europa and hence will not do close flybys of the moon Io. However, it will observe Io remotely to gauge its volcanic activity. ESA’s mission will compliment NASA’s Juno mission that is en route to Jupiter. Juno will perform extremely close observations of Jupiter, skimming above the top of the atmosphere. During the close encounters, Juno will see just a tiny slice of the giant planet that lies directly beneath its orbit, but will see the entire area of each pole as it approaches and recedes from Jupiter. JUICE on the other hand will see the entire planet and be better able to study broad weather patterns, but only will see the poles obliquely. Also, Juno will ignore the moons, while JUICE makes the moons the primary focus. ESA’s press release said very little about the instruments, literally giving just their names. (I suspect they were leaving the details to be given in the press releases from the individual nations funding the instruments.) Press releases from NASA and the Jet Propulsion Laboratory provided additional information on the instruments they are participating on. For the remainder of this post, I've organized the instruments by study area and pieced together the limited information from the three press releases and from the JUICE Assessment Study Report (the “Yellow Book”) that discussed general goals for types of instruments. PEP: Particle Environment Package. 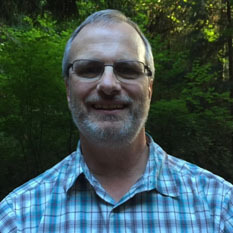 From the NASA press release: The principal investigator is Stas Barabash of the Swedish Institute of Space Physics. The U.S. lead is Pontus Brandt of the Johns Hopkins University Applied Physics Laboratory (APL) in Laurel, Md. Under the lead of Barabash and the Swedish National Space Board, APL will provide instruments to this suite to measure the neutral material and plasma that are accelerated and heated to extreme levels in Jupiter's fierce and complex magnetic environment. When more information becomes available, I’ll write additional posts on the instruments. I think RIME wins the award for best acronym in recognition of its non-awkward expansion into a clear description of the device and pronouncably topical initialism. They can pick up their trophy at this year's Nymmies. Pride is described here by Leonid Gurvits http://opfm.jpl.nasa.gov/files/Instrument-Synergy%20Abstracts.pdf on page 2. They will use Doppler and VLBI as scientific instruments, with goals including the "creation of an ultra-precise celestial mechanics model of the Jovian system, studies of the internal structure and composition of Ganymede and Europa, as well as the shape and parameters of the gravitational field of Callisto. "